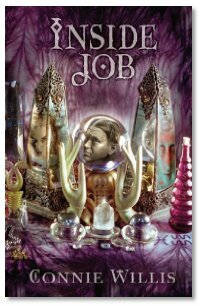 This week, David Moldawer talks to Connie Willis about her novella "Inside Job", an original novella that can also be found online at Asimov's website. Just wanted to say I've really enjoyed the Hugo interview series. Its been good to hear some of the interviews I might have missed before, and what a great build up to the Hugo's. I started listening to the Dragopage about a year ago and since then I've tuned in to all the other Farpoint podcasts but Dragonpage is still my favourite. I'm a huge SF reader and your podcast has the best interviews with writers. Please keep up the good work on it and keep interviewing new authors. Dragon Page was the first, and it is still a great show. We have toned it down over the months because of other interests, but scifi literature is still my passion. Glad you feel the same and keep coming back. We'll have more great guests on soon.